Islamic Radical hates Australia, wants to leave Australia, wants to surrender passport, Aussie Authorities won’t let him leave. A MELBOURNE man who “hates” Australia and wants to fight Islamic State overseas says the government won’t let him leave, even though he’s willing to renounce his citizenship. There are heaps of people in this world who would love to come to Australia, people who would fit in comfortably and contribute in a positive way, so why do those in authority insist on having to bring Islamists here, people who will always have a problem with the way we live our lives, people who have a history of not letting others be. Now we hear it direct from them, that despite what all our progressive bullshitter media and government spin about multiculturalism, Muslims hate us, hate our way of life and would rather leave to go and fight for ISIS. What is our stupid, our twisted multicultural political response, you might expect we might say great, encourage them even help them out the door and just ask that they leave their passport and citizenship at the door on the way out, oh and don’t come back. But no, no such thing as simple or straight forward common sense at government or bureaucratic level, it is only when a Islamist wants to leave that all of a sudden our government and all of our law enforcement authorities stand as one, stand up to Islam, look the servant of Allah in the face and say “no” you cannot leave, you are an Australian and you will be Australian whether you want to be Australian or not. It is my understanding that this is happening throughout Europe, the USA and Canada, they number in their thousands, Islamists our authorities who we pay to defend us and our interests are betraying our interests and actually ensuring that these Terrorists remain in the west and in most cases are allowed to roam free within our community as we essentially provide a human shield between them and the middle east. Kadir Kaya wanted to move to Turkey, but the Australian government was standing in his way, he told 3AW radio. “I am willing to renounce my Australian citizenship, only on the basis I get to Turkey,” he said. 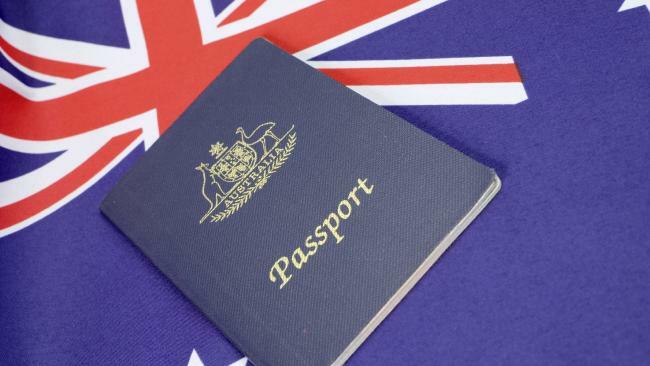 It’s understood Australian authorities confiscated his passport 18 months ago while he was trying to make his way to Turkey. Mr Kaya said he “hates” Australia because of the way he had been treated. “I don’t feel like a citizen in this country,” he said. But Mr Kaya — who was born in Australia but has Turkish links — said that resentment did not mean he wanted to hurt Australia. He wants to leave Australia and become a foreign fighter. Mr Kaya said he had been on an ASIO watch list for a year-and-a-half because of his attempt to reach Turkey, but maintained he was not a threat to Australia. “If that’s making you feel threatened, allow us to leave,” he said. He agreed with calls by far-right group United Patriots Front that people who didn’t love Australia should get out, but said leaving was harder than people realised, because the Federal Government was standing in the way. So Malcolm Turnbull’s comments the other day ring very hollow, he said it was not compulsory for those who did not like Australia or it’s freedoms and culture to stay here, he as a lawyer and Prime Minister should know the practical stupidity of what he was saying. Yes if you are a peaceful Moslem you can leave, or if you are a smart and dangerous Muslim who lies and disguises his real motives and belief you may leave and be welcomed back, but if you are a Muslim who decides to do the Australian thing and just let us know what you really think of us and tell us that you want out, oh oh oh no no no, we can’t let you go out there in the big world, you might hurt someone or worse still you might get hurt, no no no the more dangerous you are and admit to being, the more you hate democracy and all this country and culture stand for, the more determined our authorities are to keep you here with us. But sadly they won’t even bother to grant our wish either that if you are to be kept here they should be looking after you in a high security jail, no they want you to suffer by having to live free within the society you hate so much, until you get so radicalised and fed up that you create or plan a full on terrorist incident, like kill or shoot some innocent, because then they in there stupid bureaucratic way will feel vindicated in taking action then and only then. You have to kill someone here under their nose.